You are in charge of a team of young rebels, the Gamers, fighting against the new anti-leisure laws oppressing the city. Equipped with high-tech gears allowing amazing jumps and speed, they roam the city to sabotage the propaganda, help citizens, and find a way to reach the Orbital Station. This way they could warn the Galactic Union and put an end to the oppression. 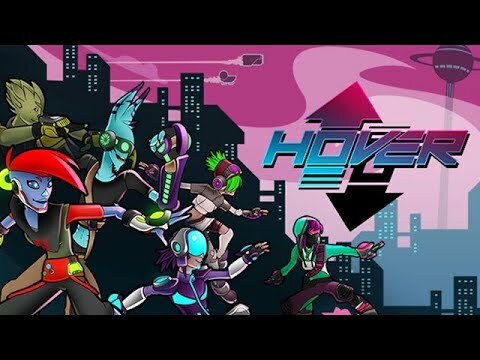 Hover is both a single and multiplayer experience. At any time, you can instantly switch from offline to online mode and join your friends or players from around the world and progress through the adventure by cooperating or playing against them. No matter where you are and what you are doing, you will be able to connect. Hover is also a community-driven game offering many tools to players to create missions or mini games.